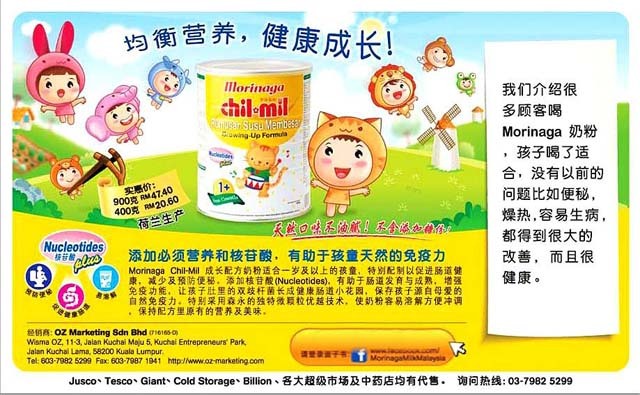 Introducing the all new Morinaga Growing-up Formula in Malaysia; for 1 year and above, Chi-mil. 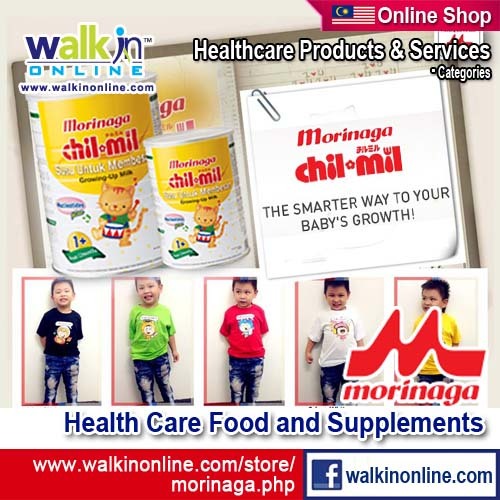 Morinaga Chil-mil, a growing-up formula for babies 1 year and above is formulated with improved protein content which meets the protein requirement during weaning period for optimal growth and development of young children. 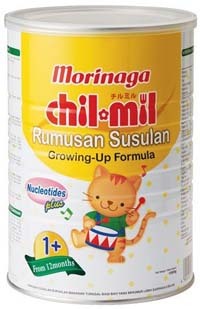 The new Morinaga Chil-mil also contains 2.1mg of Nucleotides per 100ml of standard solution; essential for vigorous growth during weaning period when the metabolism rate in a child's body is accelerated. 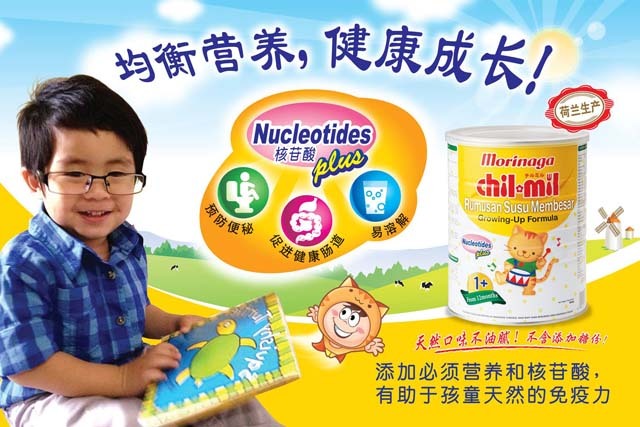 Nucleotides also promote gut growth and maturity, enhancement of immune function and modification of intestinal microflora. 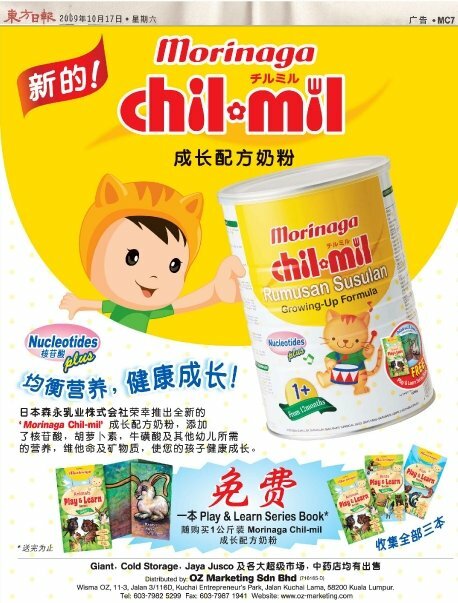 The Growing-up Formula is produced using unique granulation technology, the formula is readily dissolve and can be prepared quickly without loss of flavour or nutrients. 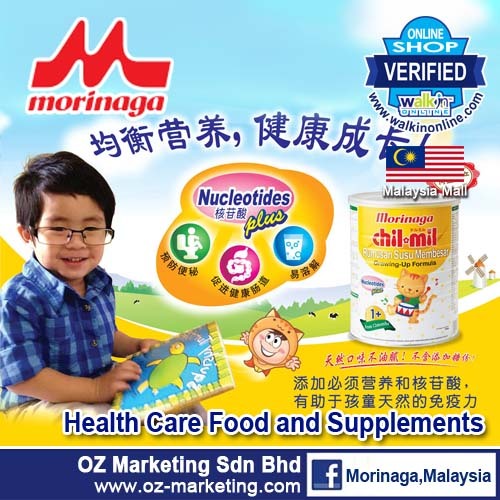 Morinaga chil-mil comes in 2 pack size of 400g and 900g and available in Tesco, Giant and Cold Storage store, Jaya Jusco and other leading supermarkets and chinese medical halls. contact our Customer Service Careline at 03-79804026 to find out more.